We provide employment opportunities with staffing solutions serving temporary, temporary to hire and direct hiring needs. We serve a wide range of businesses for jobs in customer service, clerical, administrative, technical and industrial sectors. With over 30 combined years of human resource and temporary industry experience, we seek to be the best temporary staffing service and become a long term staffing partner in our local community. 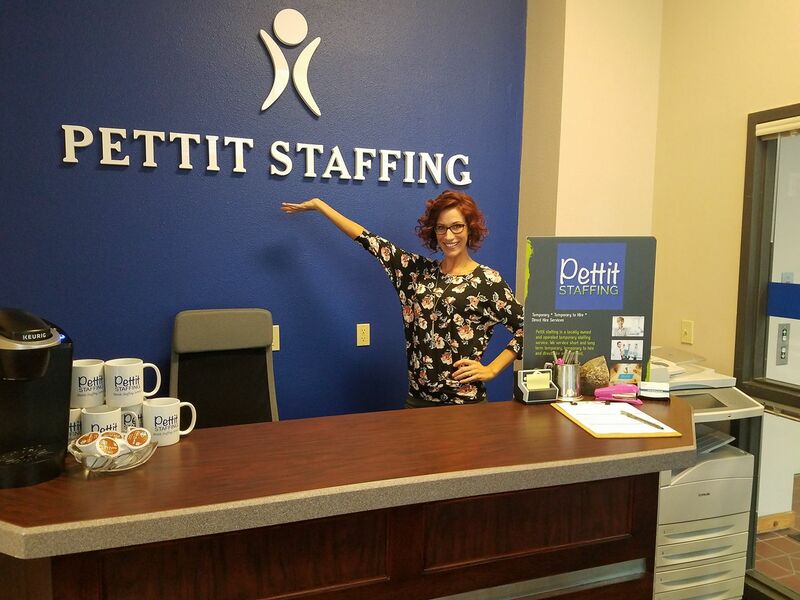 What to expect when I arrive for an appointment with Pettit Staffing Service? Arrive with a resume, if you don’t have one, no worries – WE got this! We can help you formulate one! Plan to spend a little of time with us, it takes time to fill out the application, test and/or interview. What should I wear to your office? Dress for Success! The appropriate interview attire will depend on the industry you are applying. “Perception is reality”. Project the image you want to project and choose an outfit that best fits the job and industry you are applying. It’s a 10-step process – Bring a resume or work history, fill out an application, there are hiring forms, such as a W-4 and other federal forms, I-9 Proof of Citizenship, E-Verify process, Consent for background search form, possible drug testing, reference forms (bring two (2) names and telephone numbers), some skills assessment, if applicable, and a staff interview from the experts! Also, we do have an online application and we can send you the assessment links to do the testing on your home computer. What are your office hours and can I just walk-in? Great question and our hours are 8:00am to 5:00pm, however, we are here for you and will be available after hours for interviewing, providing additional paperwork or just to talk. Our office phones are forwarded to a live person to provide you with immediate assistance. How cool is that. If we haven't achieved your capacity, we haven't delivered our service! Why Choose a Staffing Agency? Copyright Pettit Staffing - All Rights Reserved.